This round of funding will allow Virgil to further accelerate the market adoption of our technology, expand our developer evangelism and sales team, and allow us to extend our technology into additional vertical markets. The MACH37 Cyber Accelerator is pleased to announce that Virgil Security, Inc., an application security company that provides easy-to-use cryptographic software for developers, has closed a $4 million Series A investment round. The funding round is led by KEC Ventures, a venture firm founded by Jeff Citron, founder of Island ECN, Datek Online and Vonage. Additional investors include Bloomberg Beta, Blu Venture Investors, Charge Ventures, NextGen Venture Partners, Sparkland Capital, and Working Lab Capital. Individual investors include Ray Rothrock, noted cybersecurity investor, Matt Grimm, recently with Mithril Capital Management, and members of Baltimore Angels, Dingman Center Angels, and Panther Angels. Founded in May 2014 and headquartered in Manassas, Virginia, Virgil Security joined the MACH37 Cyber Accelerator and is a graduate of the Fall cohort session in 2014. Since graduating from the accelerator program, Virgil has received national recognition for their end-to-end encryption and key management capabilities for their customers. Earlier this year, Virgil and Twilio, a cloud-based communications platform, announced a partnership that enables developers to seamlessly integrate Virgil’s end-to-end encryption capabilities into Twilio’s messaging services. Virgil Security makes every software developer a cryptographic expert. With Virgil Security’s platform, every developer can build cryptographic features, including end-to-end encryption, passwordless authentication, and cryptographic verification of data, devices, and identities, into their products, with no cryptographic training, often in just minutes. Founded in 2014, Virgil Security is headquartered in Manassas, Virginia, with offices in Kiev, Ukraine. To learn more about Virgil Security, please visit VirgilSecurity.com and follow the company on GitHub, Twitter, Facebook, and LinkedIn. 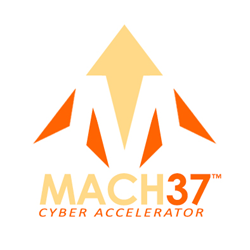 MACH37 is the premier accelerator for information security entrepreneurs and startups. We go beyond the traditional model of typical business accelerators by bringing our innovators focused mentorship and support from our extensive network of visionaries, practitioners, buyers, and successful entrepreneurs in security. Our Spring and Fall sessions are designed to propel graduating companies into the marketplace, equipped with the skills to grow and compete for funding and market share. MACH37 was launched in 2013 by the Center for Innovative Technology, in Herndon, Virginia. To learn more, please visit http://www.mach37.com and follow @MACH37cyber on Twitter. Since 1985, CIT, a nonprofit corporation, has been Virginia’s primary driver of innovation and entrepreneurship. CIT accelerates the next generation of technology and technology companies through commercialization, capital formation, market development and revenue generation services. To facilitate national innovation leadership and accelerate the rate of technology adoption, CIT creates partnerships between innovative technology start-up companies and advanced technology consumers. To learn more, please visit http://www.cit.org and follow CIT on Twitter @CITorg.